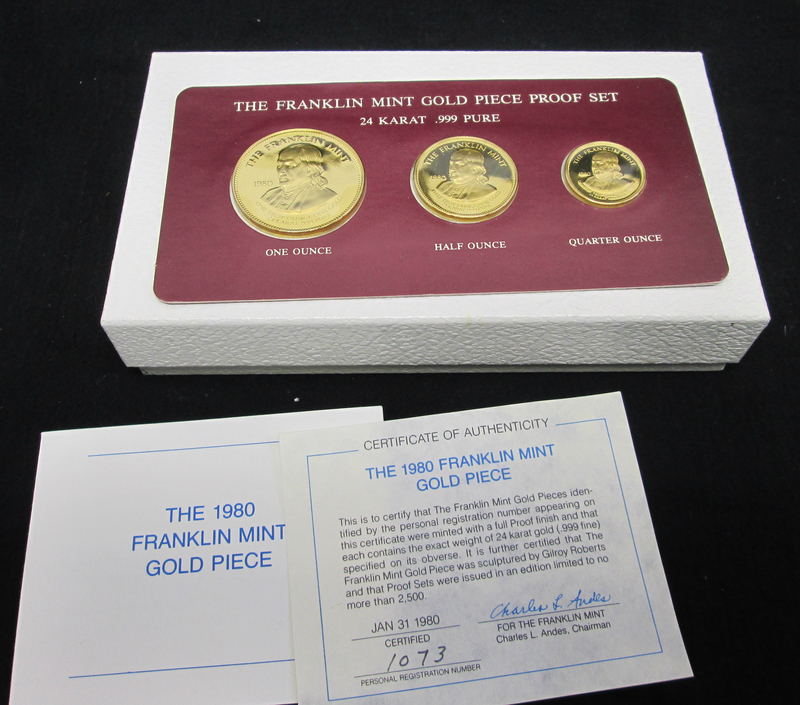 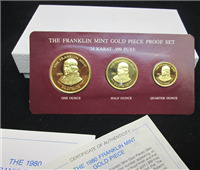 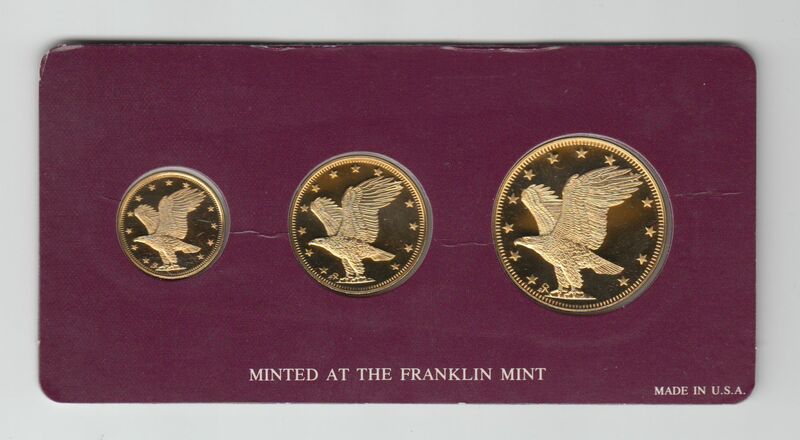 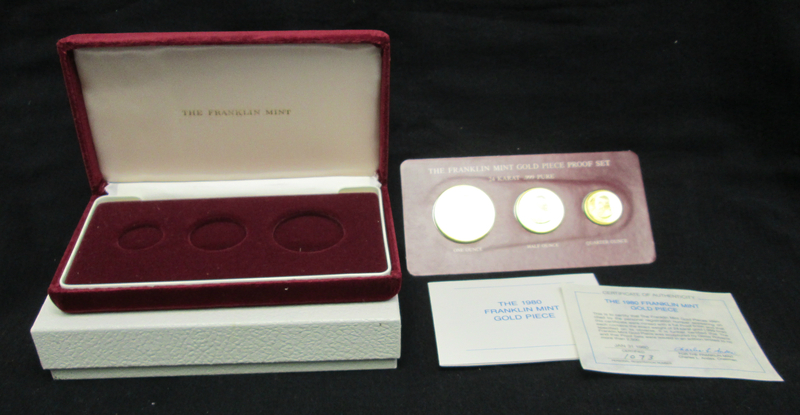 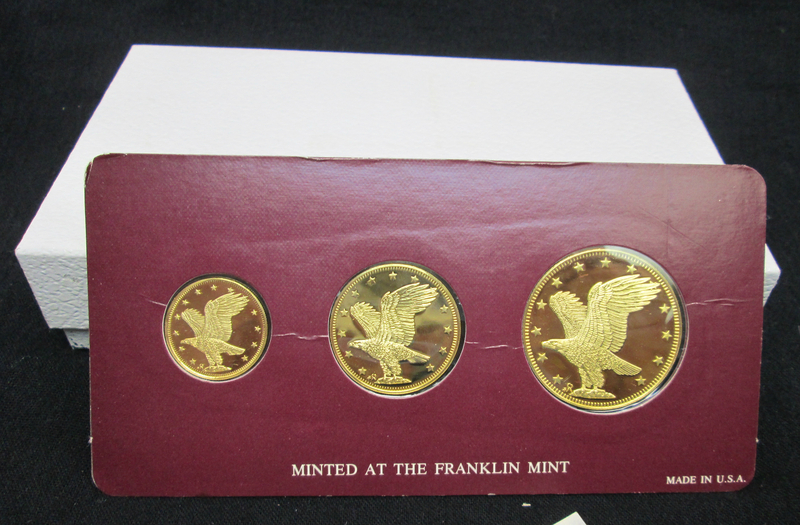 The 1979 Franklin Mint Gold Piece Proof Set (Franklin Mint, 1979) Current Market Value. 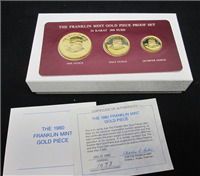 Coins are hermetically sealed in mylar on a protective display card, a velvet lined display case is included, along with a certificate of authenticity dated January 31, 1979, and all is housed in a white cardboard jeweler box. The 1979 Gold Piece Proof Set consists of serially numbered one-ounce, half-ounce and quarter-ounce Franklin Mint Gold Pieces. 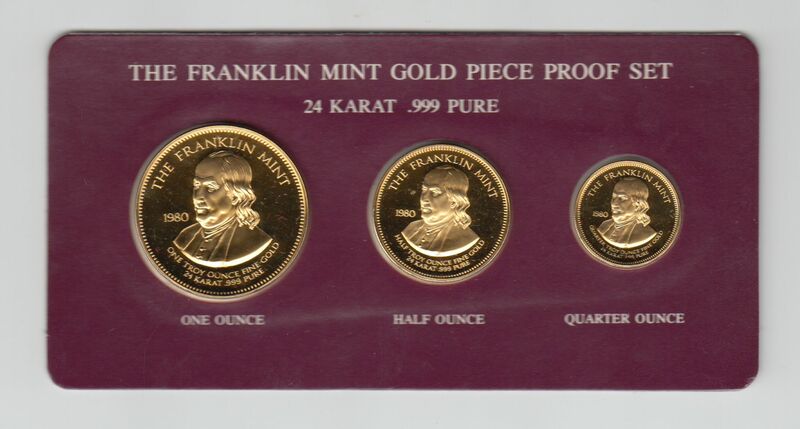 Each gold piece was minted of 24 karat (.999 fine) gold with a full proof finish by The Franklin Mint and bears a guarantee of its weight and purity on its obverse. 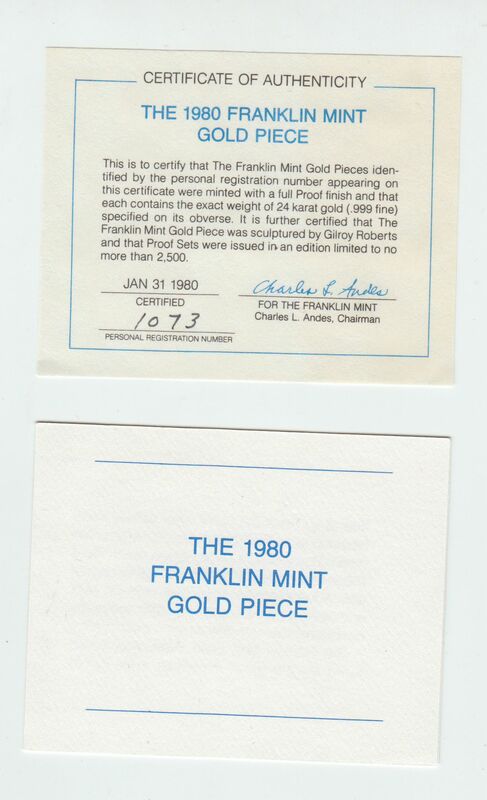 The Franklin Mint Gold Piece was sculpted by the great American artist Gilroy Roberts and was coined entirely by American craftsmen. 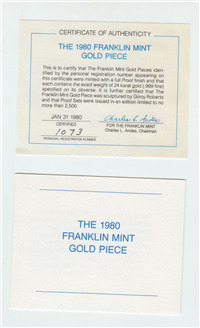 All three sizes bear Roberts' world-famous portrait of Benjamin Franklin, along with the guarantee of weight and purity. 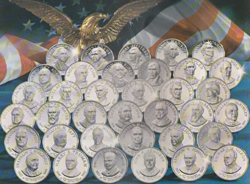 The reverses feature a new Gilroy Roberts sculpture of the American Eagle. 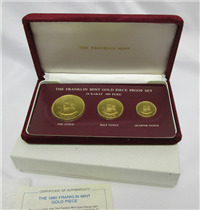 Proof Sets were issued in a strictly limited edition of 2500 sets.